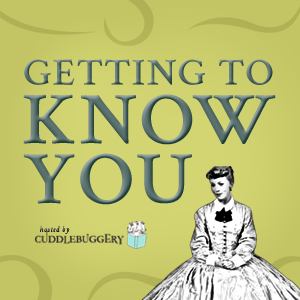 Alright, so this has been me since I said "Hey, a getting to know me blog hop! That sounds like a fantastic idea, sign me up!" I know you're thinking what the hell lady, how hard can it be to tell us a bit about you. Well let me tell you, it has been agonizing for me. I mean I question myself on what you would want to know, how would you want me to tell you about it, are they going to be horrified to learn that I am seriously just some boring ol woman from the East Coast? 1. In your best Suessical voice tell them: "I do not like people who smack their food, so close your mouth, don't be rude. Then I thought, 'Oh what the hell, instead of just sitting here talking to everyone about it and working myself into another tick (seriously guys, my left eye has been twitching for weeks...weeeeeeks! ), I am just going to lay it all out there.' So here is the deal. I am just me. I am not anyone really exciting. Make sure to let me know if you will ever be at the same book event as me and I will make sure to bring you some. Sadly I injured my leg a year ago and have struggled to come back, but I am fighting my way back and I signed up to run the Disney Glass Slipper Challenge in February....Ayyyy, I need to get my legs in gear fast! 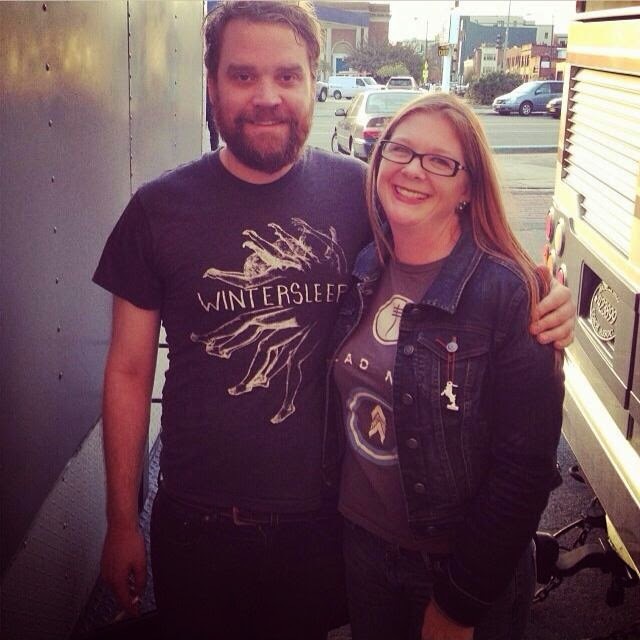 This is from one of the Frightened Rabbit concerts here in DC, I met lead singer Scott Hutchinson, squuueeee! I have two beautiful girls, who I home school and who can make me smile on the worst of days and growl on some of the best ones, haha. They are my little miracles and even though they keep interrupting as I try and write this post I can't imagine life with out them. Two dogs, Fae an Argentine Dogo and Blue a Catahoula Leopard Dog, who have something against the UPS/Fedex trucks...not the drivers, just the trucks. You can imagine how my book addiction makes things challenging for them. It's a stressful life as you can see. I also have two hermit crabs, but we won't talk about them because I can't be sure that they are still with us right this moment. Oldest seems to struggle remembering to water and feed them, yet she wants a snake or a bird, or an iguana, or a zoo. So in a nutshell, that's me and I will totally understand if you want to pretend like you don't know me anymore. BUT before you go running away in embarrassment for me....Make sure you scroll on down and enter the give away for my favorite books and check out the other blogs on this hop. I can't wait to learn a few things about everyone else and see just how much I embarrassed myself here, hahaha! BORING?>!?! Pshaw lady! you are the furthest thing from boring look at all the cool stuff you do!!! Love the dress up time and cute family and DOGGIES! Whoop whoop east coast!! I have learned so much about you that I don't know where to start. 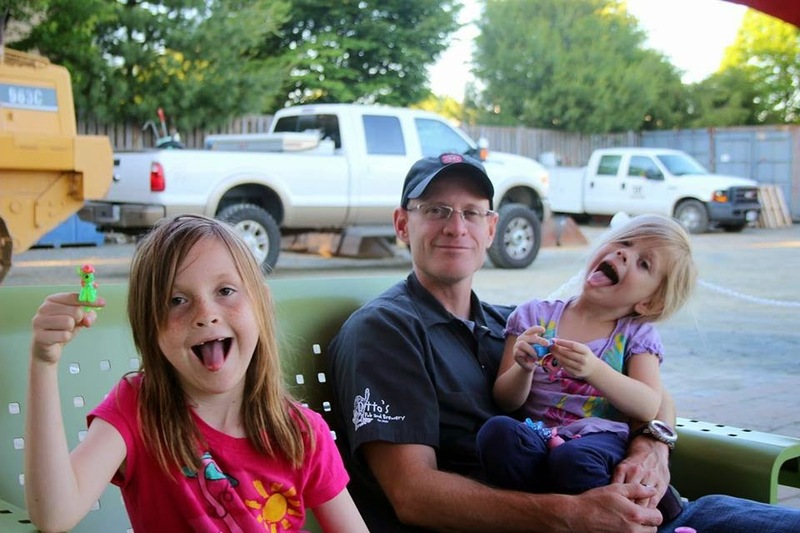 An Army wife that home schools? *bows down* I send my kids to daycare even on days when I don't work! Thank you so much for participating in our blog hop! Thank you Kat, I had a great time putting it together even if I did stress about it. Trust me when I say there are many days I wish I sent them to school, haha! I admit I already know you. I always enjoy your blogs and learning more about you though. You Rock!!! I met my husband because we both love Harry Potter. Our family does absolutely nothing but watch TV on Harry Potter Weekends. I love that! As my oldest finishes each book we let her see the movie. Can't wait until she has read them all! Ahh, my youngest wants a bunny so bad, but we've got some pretty big dogs so I am not sure its a great idea, lol. I of course will tell you that the Shatter Me series is amazing, lol. I've been to every Harry Potter midnight release party since Goblet of Fire. That is so awesome! I am loving all of the Harry Potter fans! I'm terribly indecisive about everything, food, books, all the stuff. *whispers* me too! I think that is why I read so much and so many different things and why it was so hard for me to do this post, haha. What a fun post with all your photos! I loved the Borrowers! It made me smile to see them on your list. I want to know where you get all your fun outfits for the photos & larping!! Love them! Ha, the teal dress came from a shop called Lindy Bop, and I need more! :-) my Irish Dance dress is the dress of the school I attend McGrath Academy, I had to have it made for me. 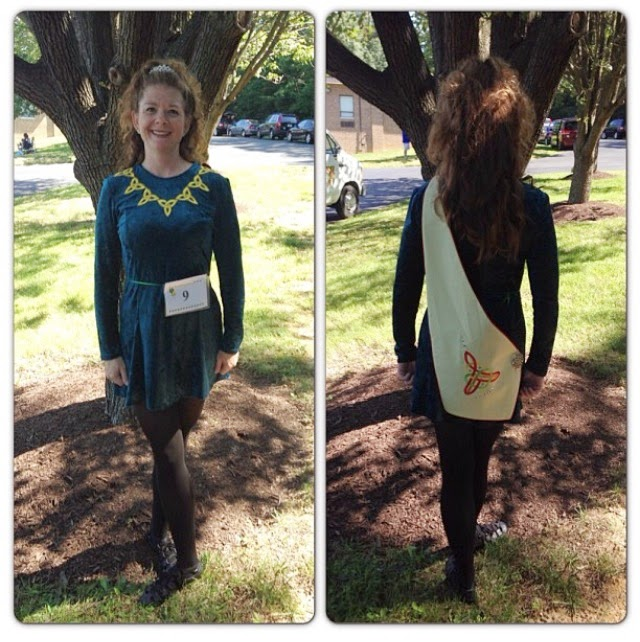 And my RenFaire gear all came from the shops at the Maryland RenFaire and I need so much more of that too, haha! 1. Your outfit in your twitter pic is totally rad! I WANT IT. 2. Your giffage is PERFECT. 5. Your cupcake officially ended my gag reflex upon seeing cupcakes (a side effect of watching Supernatural. They can ruin EVERYTHING. Including cupcakes.) It looks so freaking delicious! 1. It came from a shop called Lindy Bop (I even bought the crinoline), I wish I had more of their dresses...I would love to wear 50's style dresses all the time. 2. Thank you so much for saying that...I stress over getting the giffs right, it can take me hours to find the right one, haha. 4. I have never seen the series, I totally need to watch it, but he and Mr. Darcy...My first book boyfriends! 5. Eep, I am so glad to hear that. You will have to make sure to let me know if we are ever at an event together so I can bring you one! *whispers* I have never watched Supernatural...now I wonder if I should or not, haha. I am a homeschool mom, my hubby is former Air force, and I am former Navy. I love your blog banner! LOVE! Teal is my favorite color. It's the color of ovarian cancer awareness, which is very important to me since I lost a friend to OC years ago. Thank you. I am sorry to hear about the passing of your friend, while I have not personally had OC touch my life breast cancer has had a big impact on my family (my mother, maternal aunt, paternal cousin and several friends) I know how difficult it can be to watch those around you face the challenges of cancer. This is a lovely reminder to all of us to get your physicals, know your body, and do self examinations! Hugs to you! I just came back from the Texas renaissance festival (2nd time this season lol) and it was Celtics weekend! My fav! 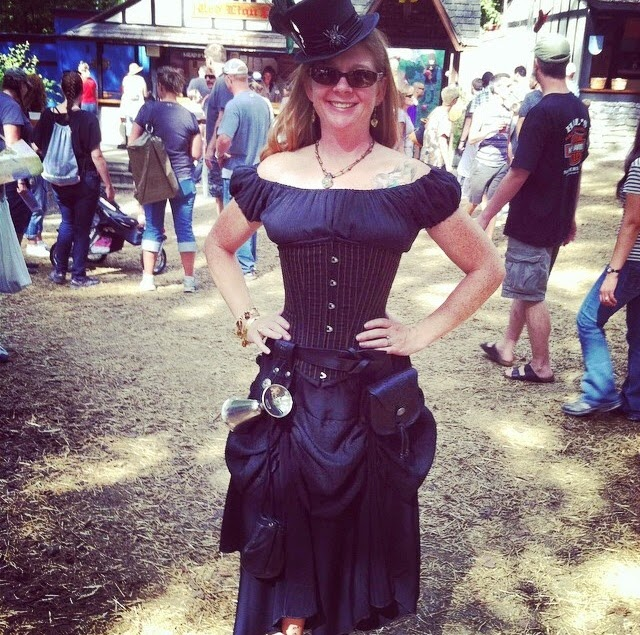 Oh I love when we have Celtic and Pirate Weekend at the Maryland RenFaire. I'd like to eventually do a bit of traveling to different Ren Fests. I have been to Maryland's and Ohio's. Hoping to get to Virgina's next season (I know I live here and I haven't been yet, how is that possible) and my in-laws still love in Texas so maybe that one soon too!